 Situated right in the heart of downtown Wiarton, it's one of the most unique stores in the Bruce Peninsula. With 2 floors of the finest selection of accent pieces, furniture, wall decor, accessories and unique gift-ware. We also carry a fine selection of furniture and mattresses. All Pieces are selected individually to fit your decor and to suit every home, cottage, nursing home, model home, hotel/motel, etc. The selection is so vast that you will need lots of time to browse. Remember Greyfair in Wiarton has the largest selection of unique and unusual decor items in all of Bruce Peninsula.